The building where according to North Korean official histories, Kim Il Sung founded the Korean Worker’s Party. 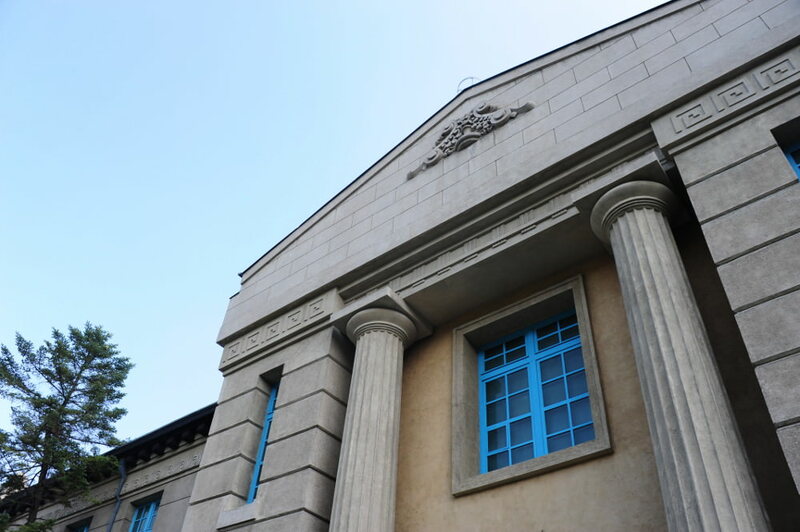 It has since been preserved as a museum to the history of the Korean Worker’s Party. 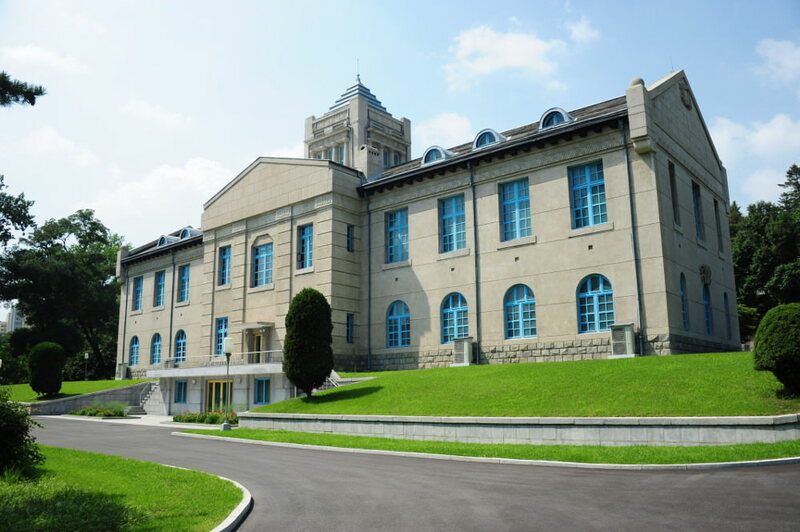 The building is also architecturally significant as one of the few examples of Japanese colonial architecture left standing in Pyongyang after the Korean War. Photography is not permitted inside. Built in 1923 by the Japanese colonial government. 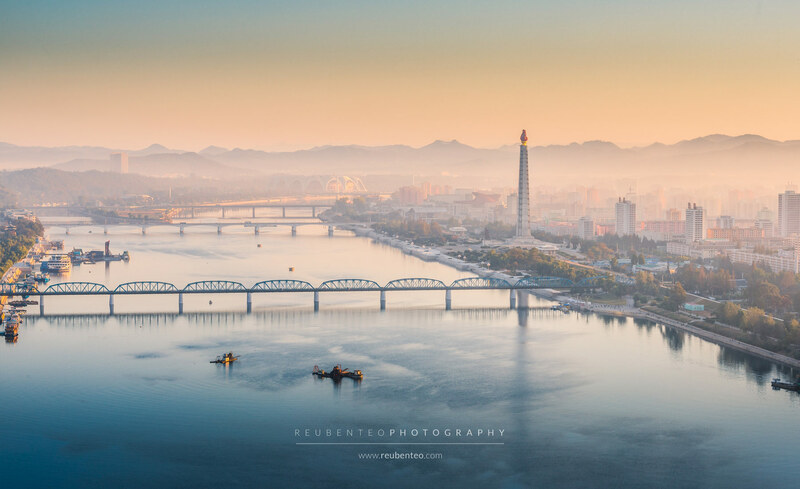 According to North Korean official histories, Kim Il Sung founded the Korean Worker’s Party here on the 10th of October, 1945. The 10th of October is now a public holiday known as “Party Founding Day”. The building was opened as a museum in 1970. The top of the building resembles the top of the Japanese diet building in Tokyo. 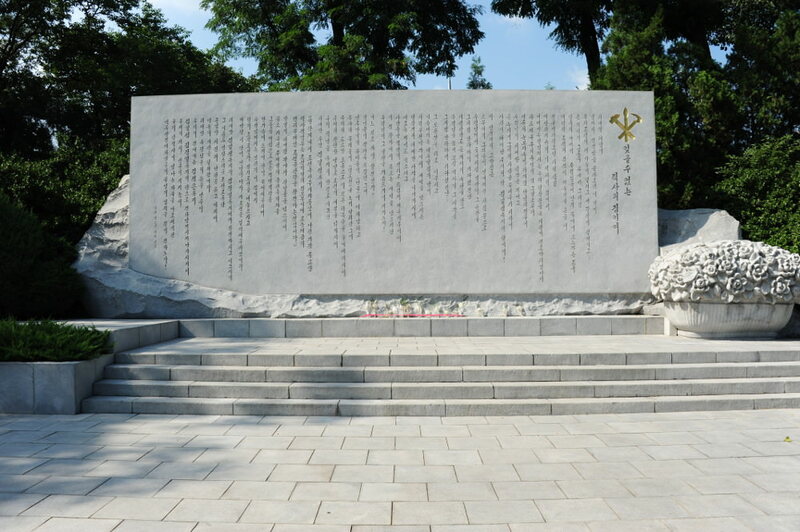 The ground floor consists of rooms with chronologically divided sections with photo and text displays and artifacts relating to the history of the Korean Worker’s Party. The first floor is preserved as it originally was, with a conference hall with portraits of Marx, Lenin, and Stalin, and Kim Il Sung’s office. A building that was Kim Il Sung’s modest residence in the early days of the founding of the DPRK is also preserved next to the museum. The complex features an attractive garden with pond.